Nadir Shahs portrait from the collection of Smithsonian InstituteNadir Shah (Nadir Qoli Beg, also Tahmasp-Qoli Khan) (October 22, 1688 - June, 1747) ruled as Shah of Iran (173647) and was the founder of the short-lived Afsharid dynasty. Some historians have described him, because of his military genius, as the Napoleon of Persia or the Second Alexander. He created a great Iranian Empire with boundaries from the Indus River to the Caucasus Mountains (north) and India (east). 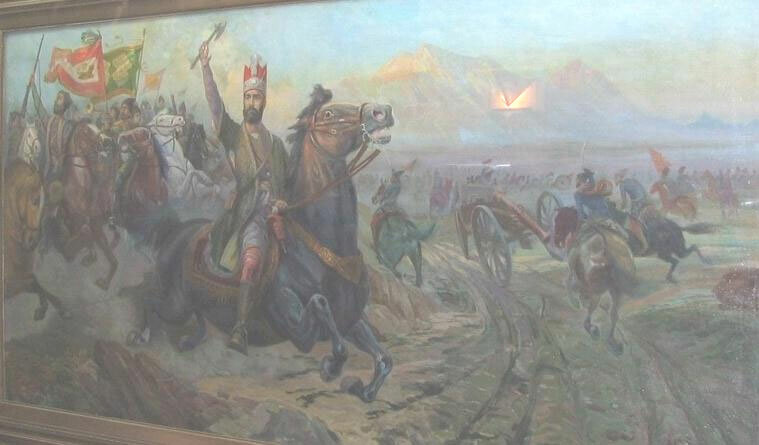 Nadir Shah was probably the last great Asian military conqueror. But Nadir was also responsible for the mass murder of hundreds of thousands of civilians, especially non-Muslims, during his military campaigns. 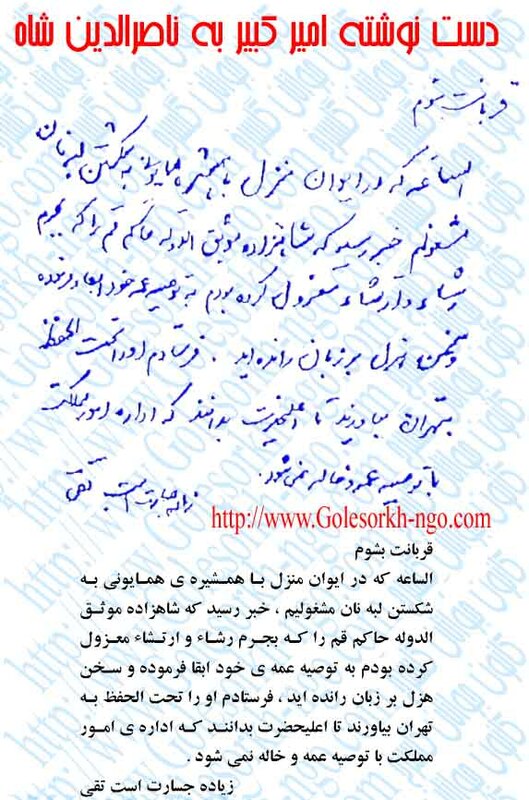 Iranian Sassanid Exhibition will be held in Paris in August/September 2006. Tehran, 13 April 2006 (CHN) -- With the reopening of Cernuschi Museum in Paris, an exhibition of historical relics belonging to the Sassanid era will be held in this museum with the cooperation of National and Reza Abbasi museums of Iran, Armitage Museum in Leningrad and some other museums. Mussee Cernuschi, running under the supervision of Paris Municipality, has recently been renovated and most of its objects belong to the Far East regions, mostly China. Two silver jugs from Reza Abbasi Museum, four silver plates and one jug, two glass dishes, and two plaster sculptures from Irans National Museum will be displayed in this museum. The sculptures were discovered in Haji Abad in Fars province. Two years ago, Cernuschi Museum had some negotiations with Irans National Museum which resulted in the agreement of Irans National Museum to lend some of its Sassanid relics to Cernuschi Museum. This exhibition will be held for two months in this museum. In addition to the historical relics of Iranian museums, some articles belonging to the Sassanid period currently kept in Armitage Museum of Leningrad, Soshoin National Museum in Tokyo and some Chinese museums will be sent to Paris to be displayed in this exhibition. 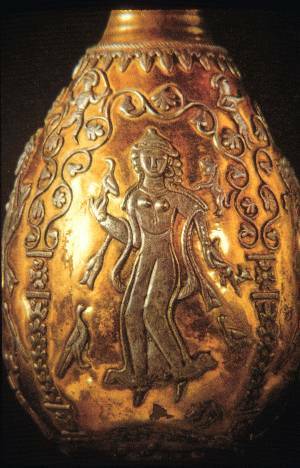 During the Sassanid period, some valuable relics were transferred to China and Japan by Iranian, Chinese, and Japanese tradesmen and princesses, which are now kept in museums of these two countries. Some other historical relics belonging to the Sassanid dynasty have been recently unearthed during the archeological excavations in some Chinese historical sites. In the past, several exhibitions from the objects of Irans National Museum has been held in foreign countries, such as the 7000 years of Iranian Art which had a tour in different European cities, Forgotten Empire: the World of Ancient Persia, which was held in the British Museum for five months last year and is now held in Barcelona, in addition to a number of exhibitions which are scheduled to be held outside the country such as The Glory of Persia which will be held in Japan from August 2006. Sassanid Empire is the name used for the third Persian Empire (226-651 AD). The Sassanid dynasty ended with the invasion of Arabs to Iran. The empires territory encompassed all of todays Iran, Iraq, Armenia, and Afghanistan, eastern parts of Turkey, and also Egypt, Jordan, Israel, Lebanon during Khosrau IIs rule in 590-628, eastern parts of Syria, northwest of the Indian Subcontinent, Caucasian, Central Asia and Arabia. Tehran, 13 April 2006 (CHN) -- The formation of Irans architectural styles and city planning in the course of history and the latest scientific theories about the architectural style of the country will be discussed in the third conference of Irans History of Architectural Style and City Planning which will be held in city of Bam in Kerman province from 15-19 of April 2006 after a three year interruption. This conference will be opened on 15 April with the lecture of Esfandiar Rahim Mashayi, director of the Cultural Heritage and Tourism Organization of Iran and then will continue with the lectures of archeologists and researchers about the history of Irans architectural style. 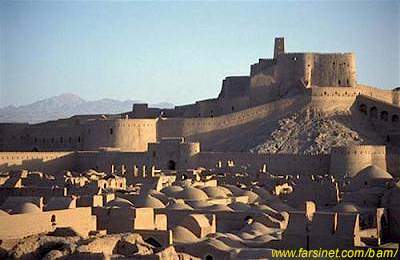 Studying the situation of the city of Bam over time, an introduction to the complete design of Bam Citadel, Yazds aqueducts, water mills in Dezful city in Khuzestan province, using of awnings in very hot cities, the history of formation of Ahwaz city, the method of Zoroastrian burial in one of their cemeteries, space controversy in painting and architecture, vivid characteristics of Irans ancient architectural style, construction of pre-Islamic satellite villages in Iran, and Kohan Dej in historical Toos city are the top agendas of this conference. 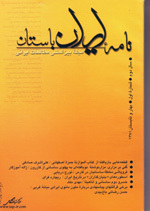 In addition, holding a research and executive exhibition of Bam Citadel, an exhibition of Irans Cultural Heritage and Tourism Organization information and documentation center, a book exhibition, an exhibition for introducing the research centers and archeological sites of Takht-e Suleiman, Meimand, Yazd, Izeh, Niasar, Shiraz, Toos, and Abyaneh are the other programs of this conference. The free discussions of the conference will revolve around the history of Dehdasht, two prevalent architectural styles during the First Pahlavi period, the forgotten architectural styles, the role of architects during the Islamic period, Mazinan historical site, Medes historical background and the division of the water of Zayandeh Rud River, revealing buried architectural structures without need for excavation, and using adobe as a main material in the construction of Shapur Dej. This conference was supposed to be held in April 2005 but due to the severe earthquake which hit Bam on 26 December 2003 it was canceled since the city was not ready to hold such a conference. Almost 600 experts have been invited to this conference, among which 250 have submitted their papers and 350 are the masters and PhD students of different fields. Bams historical characteristics and its valuable potentials in cultural and tourism fields were the main reasons to choose this city to be the host of this conference.